What is the Iscar Cup? The Iscar Cup has been staged in the town of the same name in Valladolid since 2011, establishing itself as a major event on the youth footballing calendar thanks to the pedigree of the teams participating in it. Since its inception, the tournament has gone on to assume an important role in the youth game. The competition began as a tribute to the late Pedro Sanchez Merlo, a multitalented local who enjoyed a distinguished career as a journalist and lawyer.This will be the first edition of the Iscar Cup held under the auspices of the LaLiga Promises programme, established in 2014 with the aim of boosting LaLiga’s international profile and reinforcing values such as respect, effort, teamwork and commitment through football. Where will it be played? The Nuevo Estadio San Miguel (Iscar, Valladolid), which boasts an immaculate natural-grass pitch, will be the tournament’s main venue. The complex features a large covered spectator area, an artificial-turf pitch, a café, toilets and a car park. Located just seven kilometres from the main arena is the tournament’s official sister venue, the Estadio San Juan in Pedrajas de San Esteban, which is the other stage upon which the budding stars will showcase their talents. Is entry to the tournament free for spectators? Yes, entry is free. You’ll be able to enjoy the whole tournament without having to dip into your pocket even once. Which age groups will be on show? The tournament is 7-a-side and is for Under-10s teams. Which teams will be there? The competition sees some 27 top Under-10s sides fight it out for the title. Host team, CD Iscar, will be joined by local sides, Betis de Valladolid and CD Laguna, whilst the region of Cantabria will be represented by CD Tropezon and Samsung Team. A further 17 clubs will be flying the flag for LaLiga. As if all that wasn’t enough, this year’s tournament will have a more international feel to it than ever before. 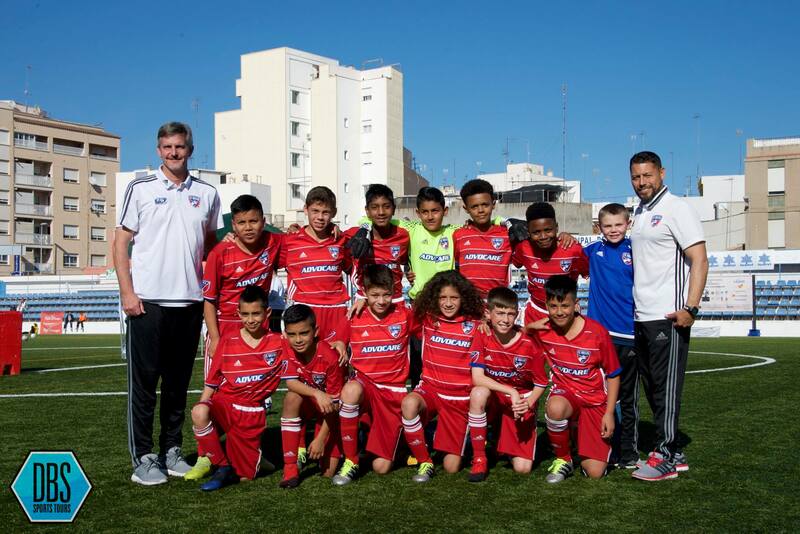 The two Portuguese giants, FC Porto and Sporting Lisbon, will take their places alongside France’s Paris Saint-Germain, whilst a Sao Paulo State team and FC Dallas will also field sides. There will be a total of 70 matches over the three days. The first phase will see the sides divided into six 4-team groups and a seventh 3-team group. The top two sides in each group and the two best third-placed teams will qualify for the round of 16. Those sides which fail to progress past the group stages will stay on and battle it out to finish as high up the rankings as possible. The games involve 15-minutes halves, with a five-minute half-time break. The only exception to this is the final, in which the halves are 20 minutes long. How can I keep up to date with the tournament? The Iscar Cup LaLiga Promises boasts media coverage befitting a tournament of its standing. Teledeporte, beIN Sports and LaLiga TV will broadcast a large number of matches, including the knock-out phase games, the third-place play-off and the final. In addition, the official LaLiga Twitter account (@LaLiga) will offer live updates and publish exclusive behind-the-scenes content. Which teams have won the title in previous years? Back in 2011, in the tournament’s inaugural year, Valencia CF claimed glory after overcoming FC Barcelona in the final. The following year saw the Azulgranas once again lose out at the final hurdle, when AC Milan were their conquerors. It was a case of third time lucky for Barcelona in 2013, as the Catalan giants saw off Valencia 3-0 to be crowned champions. Los Che returned in 2014 with their sights firmly set on regaining their title, and they did just that, becoming the first side in the competition’s history to lift the trophy for a second time, after beating AC Milan in the final. The 2015 title went to Atletico Madrid, who got the better of Real Madrid in a thrilling showdown.